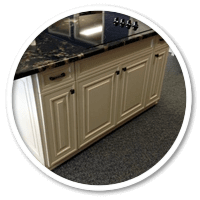 Working with you to create custom handcrafted cabinetry and cabinets! 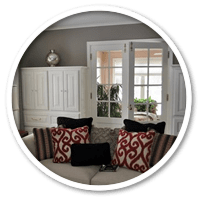 We specialize in custom cabinetry, kitchen & bathroom cabinets, office and commercial cabinetry and built-ins, custom furniture, entertainment centers, build-in furniture and more. T&J Custom Cabinetry is a Builder of Fine Cabinetry, prides itself on Quality & Craftsmanship with customer satisfaction. 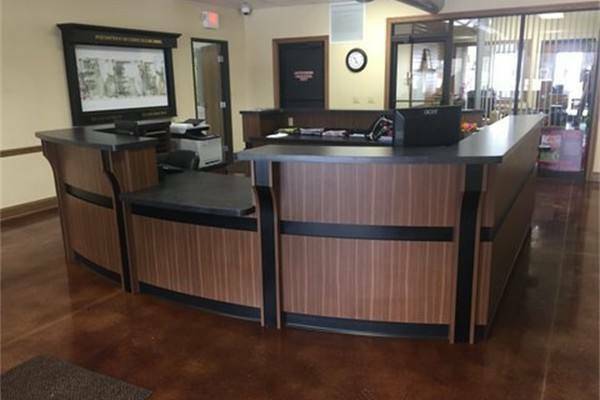 We offer kitchen cabinets, bathroom vanities, entertainment centers, built-in bookcases, custom furniture, bars, reception areas, display fixtures, laminates, millwork and more. 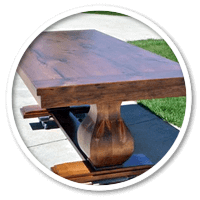 When choosing cabinets or furniture look at the products Tim has created before. T&J Custom Cabinetry can show you many examples of my work. We sincerely care about our customers and it shows in the work we perform. 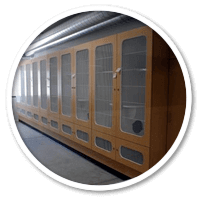 T&J Custom Cabinetry works hard to ensure our work is completed on time and within your budget; regardless, of the size of your project. Give us a call to start your new project. © T&J Custom Cabinetry. All Rights Reserved. Serving Dane and Green Counties in Wisconsin. T&J Custom Cabinetry has been providing custom cabinets, cabinetry, kitchen and bathroom cabinets, office cabinets and built-ins, custom furniture and other custom wood projects since 1997 throughout Dane and Green Counties including the cities of Albany WI, Belleville WI, Brodhead WI, Brooklyn WI, Browntown WI, Cottage Grove WI, Dane WI, Deerfield WI, De Forest WI, Fitchburg WI, Juda WI, Madison WI, Middleton WI, Monona WI, Monroe WI, Monticello WI, Morrisonville WI, Mount Horeb WI, New Glarus WI, Oregon WI, Stoughton WI, Sun Prairie WI, Verona WI, Waunakee WI, Windsor WI, plus any surrounding cities.